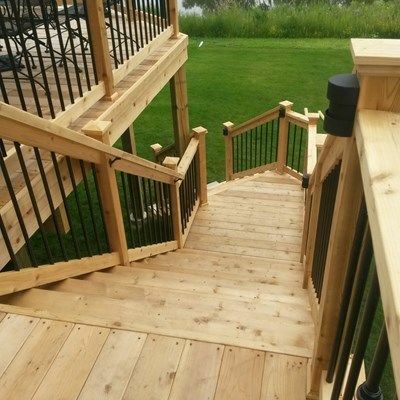 This is a large cedar deck with multiple landings, and two way stairs to the ground. 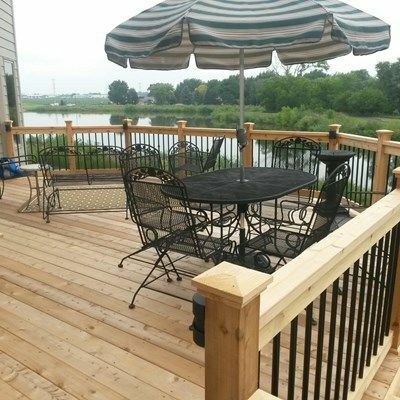 The rails contain Deckorator Classic black aluminum balusters with post skirts and decorative post caps. 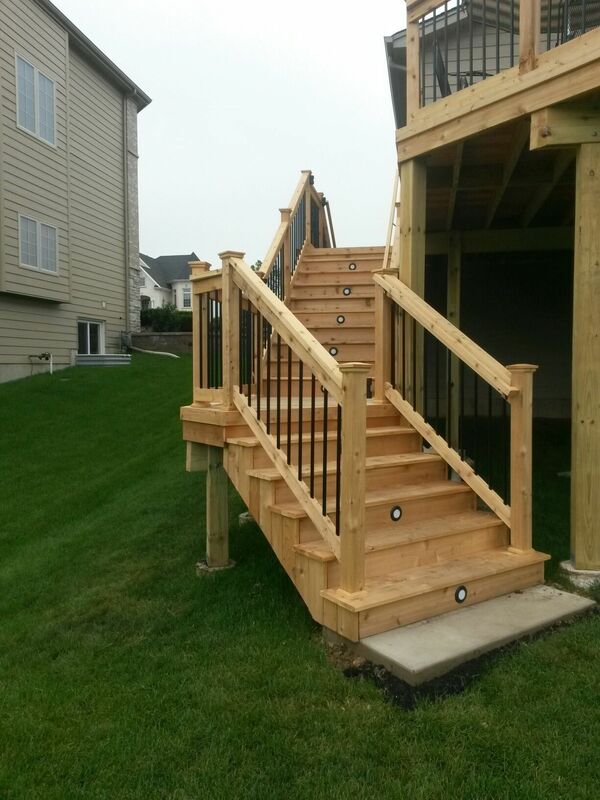 Highpoint LED lights are installed in the risers and on certain posts. 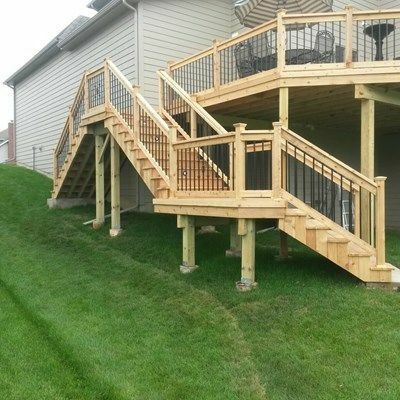 All of the wire is fully concealed within the rail for a finished look.